motocross and supercross, the riders - the teams - and the action! Some of the most attended events lately are autograph signings and it is no different with motocross and supercross. It brings fans and the curious out in force, provides a meet and greet session and gives vendors the opportunity to display their products. In Riverside, California, Malcolm Smith Motorsports, AMA champion Greg Albertyn and Racer X Jason Wiegant recently hosted an event featuring some of the finest teams and riders. Great teams abound, such as fan faves like Factory Redbull KTM, Factory Yamaha, Team Geico, Troy Lee Designs Lucas Oil Honda, Team Yoshimura Suzuki and Monster Energy Kawasaki. It is no surprise that four of the best-known names in motocross and supercross hit the “scheduled to appear” roster. Ryan Dungey, Ken Roczen, Ryan Villopoto and James Stewart get a lot of press, thanks to their skill and technique. Even Brett Metcalf, Davi Milsap and Marvin Musquinn have their fair share of articles and reports. When it comes to the best of the best in equipment, teams and riders, knowledge is power. Technical staff, engineers, and riders improve their own product by watching what the others do, trying it out to see if it fits and then building on it. Here is more about others in the elite group of gutsy riders. Kyle Partridge used his practice bike, a 2009 stock CRF450R, to compete in 2011 after a cut on funds. Riding with Dodge/Hart and Huntington in 2012, he made a nasty mess of his foot in Saint Louis in March. He hopes to be back in the action soon. Dakota Tedder, son of Matt Tedder Sr and brother of Myles Tedder, is part of Team Tedder/Monster Energy Kawasaki. 2012 events include the Monster Energy AMA Professional SX West Coast Championship series and the AMA National Outdoor Professional MX Series. Racing at some of the REM Glen Helen races, Dakota won the 250 Pro class, just beating out Myles, and another time won the 450 Intermediate class. Jason Anderson, with Rockstar Energy Suzuki, is looking forward to all the best in 2012. Born and raised in Edgewood, New Mexico, fans will see him in the West Coast Lites Supercross on the RM-Z250. The question regarding Anderson after watching him ride is if he was born to race supercross or if supercross was created in anticipation of this incredible young talent? Myles Tedder, brother of Dakota Tedder and part of Team Tedder/Monster Energy Kawasaki, raced the 2011 circuit on the 2011 KX 250F. Team manager Matt Tedder Sr. notes Team Tedder is the largest family racing team in motorsports. Suzuki is proud of their racing 2012 RM-Z250. Fuel injection gives the engine pizzazz and the 249ccs are just part of the package. Showa suspension and a trim physique provide incredible handling for record-breaking performance. Take a minor tweak like a different rear shock linkage and you get the idea of how important Honda considers the comments from their riders. 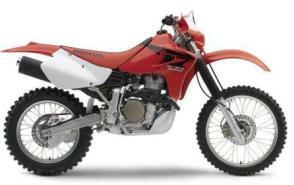 The CRF450R has better handling for the downhill action. New fork outer tubes, suspension and springs lead to better action in sections of sand, heavy dirt and mud. Is it Honda’s best open-class MX bike yet? Watch your favorite riders and judge for yourself. Motcross and supercross events for the rest of the year promise exciting action. Motcross and supercross racing is ideal to go along and see whatever your age. The supercross event is generally in a stadium, and watched in the evening. Where jumps abound, and you have something of a spectacular event to drink in. Supercross races usually last about 20+ mins, and it has tons of fans, websites and babes! Motcross is more of an outside pursuit, held in the day and the races vary from a few minutes to beyond half an hour. Whatever your choice, go along and support your TYPE of sport. Motcross and supercross, are split into two camps. 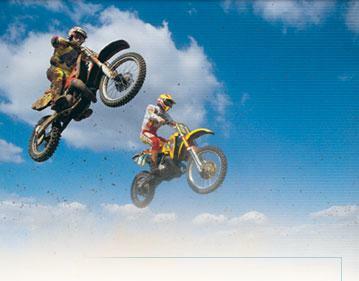 Motocross (or MX) is often an outside racing track, with featured tracks all over the country. It can be a prestigious trails circuit or a local mud n' tire track near to where you live. With the amount of free info out there and discussion boards you should easily find a place to ride your yamaha or suzuki on the tuff performance circuits across the USA. If you want to Delve Deeper - Take a look too; at the many DVDs and championship moments featuring Ricky Carmichael. Super cross events are usually a circuit track held in a stadium, with a fantastic indoor lighting system. They are short tracks of course, but the SX riders know how to unleash their fury in this action packed super fast racing. Ok so what’s on the web for getting motcross and supercross info? Well one cool website is motocross-racing-tips.com. They have advice on MX suspension, bike maintenance, dirt bike riding techniques and racing track design and layout. If we looked hard enough I expect they will have tips on where to get great off-road tires as well. They might even have photo galleries of race days and video downloads of MX and SX battles? - its well worth a look anyway. Racerxonline.com is an excellent motocross and supercross news site. With categories such as features, interviews, videos, blogs and info on how to subscribe to their website. There is also a mighty fine breaking news feature....for the day, so you won’t miss a single thing. Nwmoto.com, is a good source for dirt bikers, but really aimed at track-masters in the Pacific Northwest. But some motcross and supercross hints maybe found. As this is a non profit news website, its better to use the pages as a general info site for your dirt bike education. As you can’t guarantee the reviews are completely up to date. But we did like the friendly and helpful way nwmoto.com was written and laid out. Supercross.info, does what it says on the tin. Plus it shows World Championship Winners by year and a breakdown of AMA Championship winners by year too. Then finally the big two sites, for modern MX and SX fans, its supercross.com and motocross.com. Supercross.com has schedules, race results, mx girls, videos features, riders and a whole lot more. Where as motocross.com has videos, features, race coverage, reviews plus a track finder and a cool forum. Take time out to check into these fantastic places online - for all aspects of motorbike power sports. 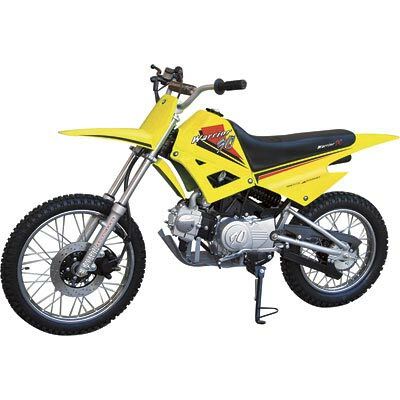 The dirt bike motorcycle has never been so widely followed as it is today. New fans for motor cross and for supercross events are growing each year in America. Fans can follow both sports and there are no rules to say otherwise. Being online, helps you catch the latest info on the gossip and controversies that inhabit any sport. So enjoy both, or be an avid watcher of one – the only head scratcher is which one to pick?